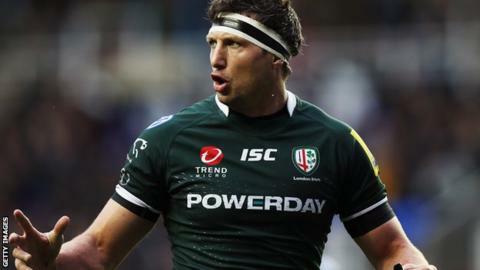 London Irish captain Declan Danaher hopes the takeover of the club will see a return of the glory days. A consortium of Irish businessmen led by Mick Crossan announced their takeover earlier in December and have promised "substantial" investment. And Danahaer, who has been at the club since 1999, hopes it will see them challenging at the top of the table. "I want to see us in the top four and playing regular, top flight, European rugby," Danaher told BBC Berkshire. "I want to see us mixing it with the big guys and trying to win the Premiership. If you have the right people and the right investment then you can have a crack at the top four." The Exiles have been struggling at the wrong end of the Premiership in recent years having played in the final in 2009 as well as reaching the semi final of the Heineken Cup a year earlier. Danaher, 33, says the takeover has already had an impact but says he hopes that will be felt most in the academy. "What Mick [Crossan - new President] and Phil have done has meant security and vision," he added. "It means in future years we can invest in the playing staff and off the field staff. "We have the new training ground and are investing in the academy to make it bigger and better so we can compete with Leicester and Northampton. "You want to bring in the right people and mix that with younger guys and players who have been here a while. "If you get that mix right, then you will create a squad that will play good rugby and win. "The more staff the academy has and the more care and attention we can give the young guys, the better rugby players we can make them. "It's about skill development and making them winners and hopefully we can do that now over the next few years."